Ahmed’s wife Husniara Ahmed, too, was served a notice by the tribunal in Lower Assam’s Barpeta district on Monday. 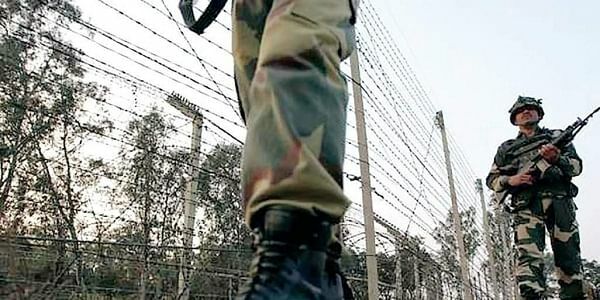 GUWAHATI: Mahiruddin Ahmed, a retired havildar who served in the Indian Army from 1986 to 2004, has been accused of being a Bangladeshi migrant and was served a notice by the Foreigners’ Tribunal. Ahmed’s wife Husniara Ahmed, too, was served a notice by the tribunal in Lower Assam’s Barpeta district on Monday. They have been asked to visit the tribunal’s court on November 6 and submit documents as proof that they are citizens of the country. Illegal migrants in Assam are detected and deported based on the Assam Accord. As per the Accord, which the All Assam Students’ Union had signed with the-then Rajiv Gandhi government at the end of a six-year-long bloody anti-foreigners’ agitation, a person, who entered Assam after March 24, 1971, will be viewed as an illegal immigrant and deported. Ahmed who was born in 1964 and is now settled at Koyakuchi in Barpeta district said he possesses several land documents of his father, Basir Uddin, and grandfather which date back to 1930s and 1940s. Similarly, Ahmed’s wife Husniara was born in 1972 but the names of her parents appeared in the voter list of 1966. Ahmed said, “Following retirement, I worked at an Army school at Bhatinda as a clerk and returned home in January this year. He was last posted at the Field Ordinance Depot in Bhatinda, Punjab. Ahmed said he had already taken up the matter with Army authorities in Guwahati and they advised him to depose before the tribunal’s court. “We will depose before the court, for we have nothing to fear,” he added. Harassment of individuals by the police on suspicion of being illegal Bangladeshi immigrants is not new in Assam. Recently, a retired Army officer, Md Azmal Hoque, was served a similar notice by the foreigners’ tribunal based on a police report. Following media outrage, the police had to apologise. Assam has around 100 foreigners’ tribunals. They were set up to determine the status of persons with doubtful citizenship. Till date, over 52,000 people have been declared foreigners.